Inositol is a great supplement for promoting a healthy hormone balance, helping to maintain a healthy circulatory system, and for reducing stress. Studies have indicated that Inositol is especially beneficial to women who suffer from hormone problems. Many people experience ample benefits from taking Inositol on its own. For information about how to take Inositol, check out our guide here. However, if you are looking to gain a little more, you might be thinking of combining Inositol with another supplement in a stack. In this article, we examine the top 5 Inositol stacks that you can take today! 5-HTP is a naturally occurring compound. Extracts are derived from the Griffonia Simplicifolia plant. 5-HTP is an important chemical compound in the production of melatonin and serotonin in your brain. Specifically, 5-HTP is the direct chemical precursor to serotonin. Serotonin deficiency is known to be involved in many mood disorders and the production of serotonin is linked to an increase in mood and decrease in appetite. Many antidepressants target serotonin receptors. People who use Inositol often report feeling a noticeable increase in their mood, even when using a relatively low dosage. Taking Inositol with 5-HTP may help to increase the beneficial effects of these two supplements on your mood. Quercetin is a powerful health supplement that is especially useful as an antioxidant and anti-inflammatory compound. Quercetin supplements have been shown to have some very important beneficial effects on your health. It is found in fairly strong concentrations in many fruits and vegetables. Some of the beneficial effects of Quercetin include the potential to reduce allergy response, supporting a healthy immune system, protecting your heart, reducing stress, and helping to maintain a healthy circulatory system. Taking Inositol with Quercetin may help to increase the benefits of using these two supplements. Inositol goes well with Quercetin in that they both have powerful effects on helping to maintain a healthy body. 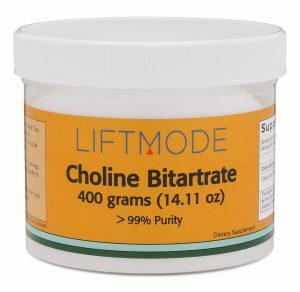 Choline Bitartrate is sometimes thought of as a “Nootropic”. Nootropics are substances that have the potential ability to improve the functions of your brain and cognition. Studies have found that Choline Bitartrate may help improve memory and cognitive performance. Taking Inositol with Choline Bitartrate is a great way to boost your cognitive power while experiencing health benefits and a mood-lift. As we mentioned before, Inositol has the ability to improve mood and reduce stress. Similarly, Choline helps your body to produce the chemical called ‘acetylcholine’, which is a vital neurotransmitter and is involved in memory and cognition. This is why we definitely recommend using an Inositol with Choline Bitartrate stack. Caffeine is the chemical compound in coffee. It has been used for thousands of years as an energizing and focusing substance, in cultures all around the world. Caffeine has a number of other benefits, which you can read about in our top 10 facts about caffeine. You might think that it would be beneficial to take Inositol with Caffeine to help support a healthy, energized state of mind. Caffeine alone has some negative effects like anxiety and headaches. Caffeine may also affect your blood pressure. Recent research has found that caffeine alters the way in which your brain responds to Inositol. As little as 5mg of caffeine reduces the activity of receptors for Inositol by up to 3 times! Inositol supplements have an effect on Calcium channels, which caffeine seems to undermine. For this reason, we do not recommend taking Inositol with caffeine! L-Theanine is a non-essential amino acid, found in a number of food sources. L-Theanine is great for promoting a calm, relaxed mood while improving cognition and boosting your energy. Studies have found that L-Theanine is great to take with caffeine because of their synergistic relationship. When you take Inositol with L-Theanine, you may experience the benefits of both substances. Inositol can be used to help reduce stress and promote a good mood. The same goes for L-Theanine. Like Inositol, L-Theanine also has a host of other health benefits including the potential to help with sleep, to reduce stress, and to promote a healthy liver. In conclusion, Inositol is a versatile supplement that can be taken with many other substances. The top Inositol stacks include Inositol with L-Theanine, Inositol with caffeine, Inositol with Choline Bitartrate, Inositol with Quercetin, and Inositol with 5-HTP. These are the top stacks that we’ve come across, but you may well choose to use Inositol with another supplement. In that case, why not check out our range of health-promoting or calming supplements! M Bizzarri, G Carlomagno, “Inositol: history of an effective therapy for Polycystic Ovary Syndrome”, Eur Rev Med Pharmacol Sci. 2014 Jul;18(13):1896-903. TC Birdsall, “5-Hydroxytryptophan: a clinically-effective serotonin precursor”, Altern Med Rev. 1998 Aug;3(4):271-80. A Palatnik et al., “Double-blind, controlled, crossover trial of inositol versus fluvoxamine for the treatment of panic disorder”, J Clin Psychopharmacol. 2001 Jun;21(3):335-9. I Bezprozvanny et al., “Caffeine-induced inhibition of inositol(1,4,5)-trisphosphate-gated calcium channels from cerebellum”, Mol Biol Cell. 1994 Jan; 5(1): 97–103. AC Nobre et al., “L-theanine, a natural constituent in tea, and its effect on mental state”, Asia Pac J Clin Nutr. 2008;17 Suppl 1:167-8.